3 day Traditional Old Style Lomi Lomi Massage course by lineage holder Dawn Charlton. Immerse yourself by honouring yourself at our 3 day retreat and training. Connect with like minded people and develop a new skill to benefit yourself and others… accomodation, food and full tuition included. Level 1 training is a complete therapy that covers all main regions of the body, including the back; neck; chest; stomach; arms; hands; legs; feet and face. It was designed by the Hawaiian Ka Hunas (teachers of the secret) over the centuries to relax the body by mimicking the motions of the waves. 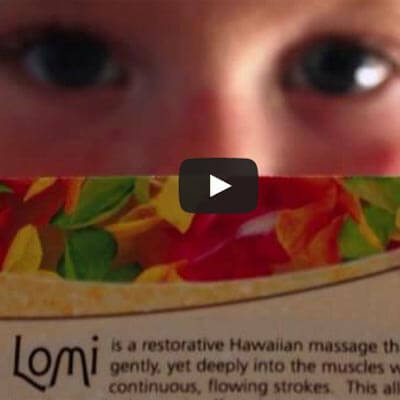 This restorative Hawaiian massage works gently, yet deeply into the muscles with continuous, flowing strokes. This allows the recipient to relax due to the hypnotic effect, bringing the mind to a place of absolute stillness. The basic principles of this rhythm and patterns are taught to activate meridians, energy points, release energetic blocks and allow the client a safe space to experience a time of oneness and unconditional love. By releasing these energy blocks the bodies own healing processes can take over. The basic concepts of energy work is covered, such as connecting with the receiver, setting up your intent and taking care not to draw on your cellular energy. You will be taught to empower yourself to go within to find the answers, to allow the natural healing energies to flow by focusing on pure intent. Also basic concepts of how to drape the body with a sarong so that the client feels safe and comfortable; oiling up the body so that it feels like part of the treatment are all covered. Morning meditations are usual to relax the mind, release any blocked emotions and help facilitate learning. The treatment starts with a series of long flowing strokes along the entire length of the body, on each side. Whilst working through many of the main muscle groups, it allows the practitioner and receiver to connect and move into an almost hypnotic state. The main areas of the body are then attended to with a series of specific strokes designed to help with lymphatic drainage and relieve muscular tension. All the while the hands rarely leave the body as each series of stokes connect seamlessly. This treatment when performed in it’s entirety last approximately 1 hour to 90 minutes. The teaching style emphasises compassion, kindness and a relaxed environment with laughter, fun and support to make this learning an easy joyful experience. 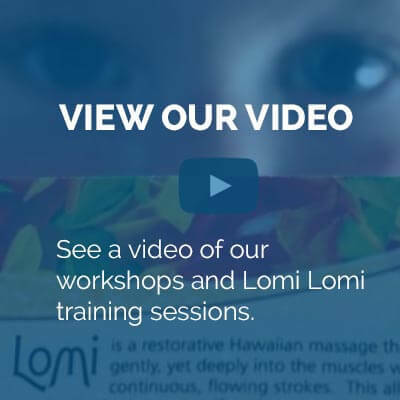 After successfully completing level 1 and feeling proficient, you are able to become a Traditional Old Style Lomi Lomi Therapist and start your business..
You will receive a certificate that will allow you to become insured for your new skill. Any other services not mentioned in the itinerary. We require your second and final instalment $845 AUD 2 weeks before the start of the course. Please click play to watch the video. Love is the will to extend oneself for the spiritual growth of oneself and another human being. - M. Scott Peck - "The Road Less Travelled"
When you are content to be simply yourself and don't compare or compete, everybody will respect you. Insanity is repeating the same behaviour over and over yet expecting different results.